When you’re driving around town, few things can be more alarming than suddenly seeing your check engine light turn on. Is your car in serious trouble? Do you need to get to an auto repair shop right away? As the team at Automotive Maintenance Services in De Soto, MO, explains, understanding the possible reasons why your check engine light is illuminated will help you get the assistance you need. First, it’s worth noting that the check engine light isn’t always a warning of serious trouble. Sometimes, your check engine light could turn on simply because your gas cap isn’t tightly in place. Tightening the cap could be enough to make the light turn off. In the majority of cases, however, a steady or blinking light indicates a serious maintenance issue with your vehicle. Faulty spark plugs or mass airflow sensors, a failing catalytic converter, or a malfunctioning oxygen sensor are among the most common culprits behind the check engine light. In general, it’s best to get these issues repaired as soon as possible. Any delay could result in more costly repairs—in the case of a failed catalytic converter, you may not be able to operate your car at all. When your check engine light comes on, your safest option is to make sure your engine isn’t overheating and that you still have enough oil in your vehicle. If these issues are present, you should stop your car as soon as possible and get it to a trained maintenance technician to diagnose and fix the problem. 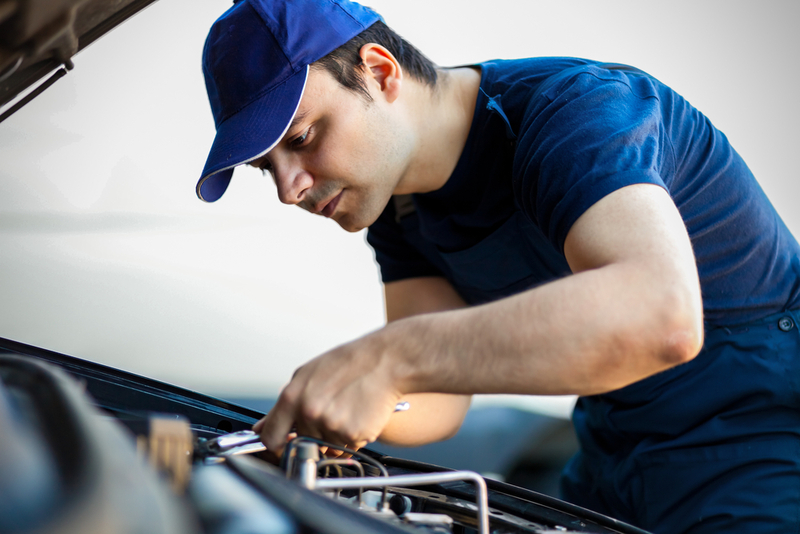 Whether you’re worried about a check engine light or need to complete vehicle emissions testing, you can trust Automotive Maintenance Services to provide timely, quality work. With more than 30 years in business, this family-owned repair shop always strives to treat its customers with fairness and respect. To learn more about their services or to schedule an appointment, visit them online or call (636) 586-4465. What Is Tire Alignment & Why Is It Important?